The Redifon GR 345D is a solid state portable HF radio. The American enterprise Hughes licensed the PRC-74 and PRC-104 to the British enterprise Redifusion. Redifusion built the PRC-74 as “Redifon GR 345B” and exported it to several countries. Known countries for export are Syria and Germany. The German name is FUG 15. 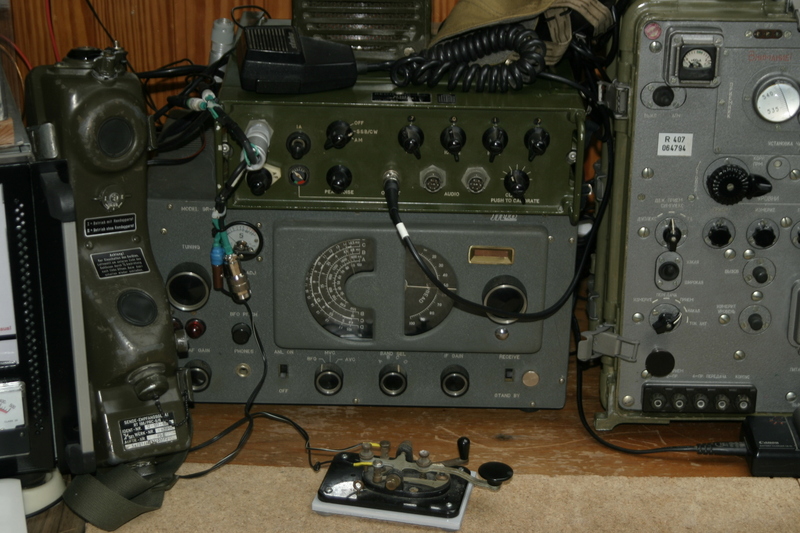 The radio in the collection is a portable radio with a 24-V-DC- converter. All German authority- radios are blue, that is why this radio is blue. A known variant is a radio in a frame, complete with HF- amplifier. It has a slightly different front plate. Accessories: Manual, Headset, Linear GA 480 (broken). In this picture is it the upper green one.